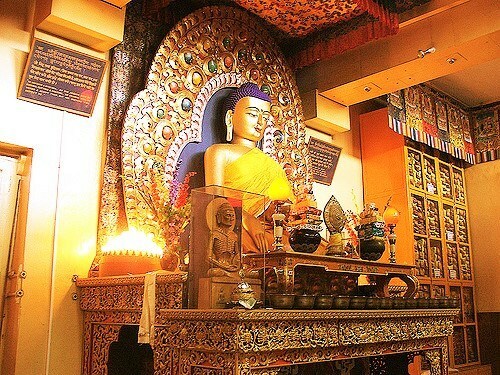 Blessed by the Dalai Lama’s presence, Dharamsala is one of the most spiritual destinations in India frequented by both Indians as well as the foreign tourists. During the Tibetan Uprising in 1959, a whole lot of Tibetan refugees followed the path of the 14th Dalai Lama and settled at Dharamshala. Since then Dharamsala is a world-renowned tourist destination. It is located in the Kangra District of Himachal Pradesh at an average height of more than 1400 m above sea level. It is thickly spotted by Deodar Cedar trees. Literally, Dharamsala in Hindi means a pilgrim rest house. During the Tibetan settlement, there was one such Dharamsala here which eventually led to the official name of the land. Surrounded by snow covered sky high mountains on three sides, Dharamsala is often referred as the “Scotland of India”. Separated by the village of Ganchen Kyishong, Dharamsala is divided into two, Lower Dharamsala and Mcleodganj. Named after the former Lieutenant Governor of Punjab Sir Donald Friell Mcleod, who developed the area, McLeod Ganj is a favourite haunt for the travelers who visit Dharamsala. The residence of the Dalai Lama is located here at McLeod Ganj. The Tibetan culture, Tibetan Shops, handicrafts, people, temples, everything is unique here. Masrur Temple consists of a series of rock cut temples which are more than 1200 years old. Built in the Shikhara style of architecture the temple charm is intensified with a beautiful lake in front of the temple, the Masroor Lake. Various images of Lord Ram, Goddess Sita and Lakshmana can be seen inside the temple. Also as per a legend, the great Pandavas and their consort Draupadi stayed here during their exile from the kingdom. These kinds of temples are found in South India which makes the Masroor Temple unique among other temples in North India. The temple looks fabulous during the evening hours when the temple lights are illuminated. The largest fort in the Himalayas and probably the oldest known fort in India, the Kangra Fort was built by one of the most ancient dynasties of the world, the Katoch Dynasty. 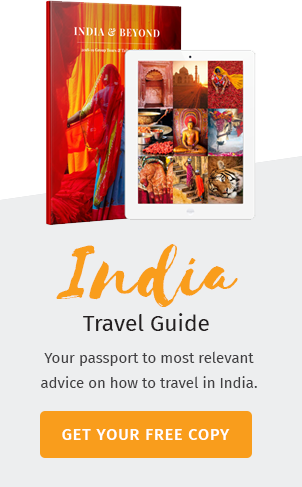 Their history dates back to the age of Mahabharatha and Ramayana. The fort is located atop a hill in the South Western region of Kangra town. There are many gates built by various kings who ruled the fort. The Ranjit Singh Darwaza [gate], Jahangiri Darwaza and Amiri Darwaza are some of the notable architectural works. The Sheesh Mahal, the Lakshmi Narayan Temple, the Sitamata Temple are the other popular works of the Kangra Fort. It is named after the famous Dal Lake at Kashmir. It looks similar to the same and attracts a whole lot of visitors every year. It is situated 1775 m above the sea level and is surrounded by deodar forest which provides a unique ambience. There is Kali and Shiva temple on the banks of the Dal Lake. A popular trekking spot, better known as the jewel of Dharamsala, the Triund Hill, is a fantastic spot to unwind your-self and connect with nature. The 6 km trek is tiring with 22 steep curves before you reach Triund, but the reward is simply absolute bliss. The mesmerizing view of the surrounding landscape and the Dhauladhar Mountains enthrals everyone who stands atop Triund. Triund can be visited anytime throughout the year, however at some point of time during the months January-February, the way to Triund gets closed due to heavy snowfall. The best time to visit Dharamshala is during the Autumn and Winter months. Autumn months are September and November and the temperature ranges between 10c- 17c. Dharamshala is absolutely stunning during this period both for sightseeing as well as enjoying the climate. Winter starts by December and lasts till February and it is pretty chilly during this time but is definitely worth a visit.